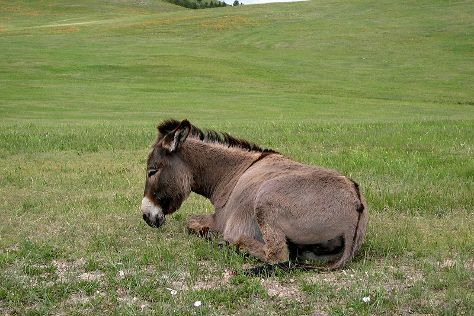 Kick off your visit on the 20th (Thu): admire all the interesting features of Wildlife Loop Road and then admire the majestic nature at Custer State Park. Keep things going the next day: explore the fascinating underground world of Wind Cave National Park, then trek along Rankin Ridge Nature Trail, and then explore the striking landscape at Needles Eye Tunnel. To see photos, reviews, traveler tips, and more tourist information, you can read our Custer vacation planning website . Chicago to Custer is an approximately 5.5-hour combination of flight and taxi. You can also drive; or do a combination of train and bus. Traveling from Chicago to Custer, you'll gain 1 hour due to the time zone difference. Plan for a bit cooler temperatures traveling from Chicago in June, with highs in Custer at 73°F and lows at 48°F. Finish up your sightseeing early on the 21st (Fri) so you can travel to Yellowstone National Park. Take a break from the city and head to Artist Point and Upper Geyser Basin. Spend the 24th (Mon) exploring nature at Yellowstone National Park. There's much more to do: explore the stunning scenery at Grand Canyon of the Yellowstone, look for all kinds of wild species at North Rim Trail, take in the natural beauty of Old Faithful, and explore and take pictures at Lamar Valley. Traveling by combination of taxi, flight, and car from Custer to Yellowstone National Park takes 7 hours. Alternatively, you can drive; or do a combination of car and flight. Prepare for little chillier weather when traveling from Custer in June: high temperatures in Yellowstone National Park hover around 66°F and lows are around 34°F. Finish your sightseeing early on the 25th (Tue) so you can travel to Yosemite National Park. Visiting Vernal Fall and Glacier Point will get you outdoors. 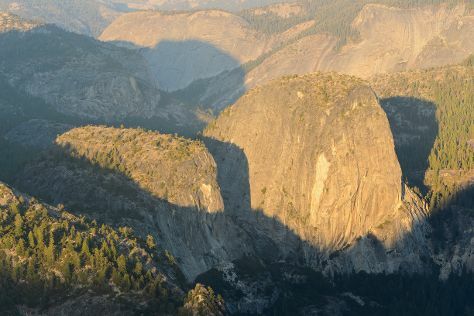 There's still lots to do: admire the sheer force of Yosemite Falls, get great views at Tunnel View, hike along Panorama Trail, and stroll through Tuolumne Meadows. To see other places to visit, where to stay, traveler tips, and tourist information, use the Yosemite National Park trip maker tool . Traveling by combination of car and flight from Yellowstone National Park to Yosemite National Park takes 10 hours. Alternatively, you can do a combination of car, flight, and bus. You'll gain 1 hour traveling from Yellowstone National Park to Yosemite National Park due to the time zone difference. Plan for somewhat warmer temperatures traveling from Yellowstone National Park in June, with highs in Yosemite National Park at 79°F and lows at 43°F. Finish your sightseeing early on the 28th (Fri) so you can travel to Hilton Head. Start off your visit on the 29th (Sat): stroll through Coligny Beach and then race across the water with a speed boat tour. Keep things going the next day: zoom along the surf with a waterskiing or jet-skiing adventure, then get up close to creatures of the deep with a dolphin and whale watching tour, and then hike along Hilton Head Island Bike Trails. To see photos, ratings, reviews, and other tourist information, you can read our Hilton Head trip itinerary planner . You can do a combination of car, flight, and bus from Yosemite National Park to Hilton Head in 15 hours. Other options are to do a combination of bus and flight; or drive. The time zone changes from Pacific Standard Time (PST) to Eastern Standard Time (EST), which is usually a 3 hour difference. Expect somewhat warmer weather when traveling from Yosemite National Park in June: highs in Hilton Head hover around 87°F, while lows dip to 73°F. Wrap up your sightseeing on the 30th (Sun) to allow time to travel to Marathon. Start off your visit on the 1st (Mon): identify plant and animal life at The Turtle Hospital and then stroll through Bahia Honda State Park. On your second day here, get a new perspective on things with Boat Tours & Water Sports and then see what you can catch with a fishing tour. To find traveler tips, other places to visit, more things to do, and more tourist information, use the Marathon travel route site . You can do a combination of flight and bus from Hilton Head to Marathon in 8 hours. Alternatively, you can do a combination of bus, flight, and shuttle; or drive. Traveling from Hilton Head in July, expect a bit warmer with lows of 81°F in Marathon. Finish your sightseeing early on the 2nd (Tue) so you can take a bus to Key West. On the 3rd (Wed), explore and take pictures at The Overseas Highway, contemplate the long history of Truman Little White House, and then immerse yourself in nature at Fort Zachary Taylor. 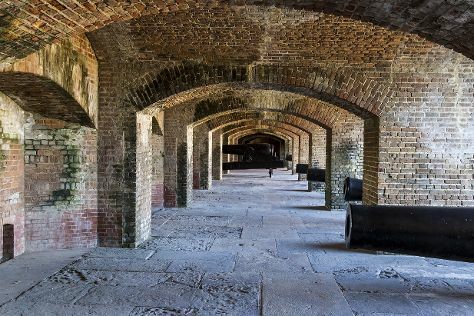 Get ready for a full day of sightseeing on the 4th (Thu): visit a coastal fixture at Key West Lighthouse and Keeper's Quarters Museum and then get interesting insight from Tours. To see ratings, reviews, maps, and other tourist information, you can read our Key West trip site . Traveling by bus from Marathon to Key West takes 1.5 hours. Alternatively, you can drive. In July, plan for daily highs up to 89°F, and evening lows to 81°F. Wrap up your sightseeing on the 4th (Thu) to allow time to travel back home.